Hi everyone! I'm Chiffon, and today we have another PenBBS pen overview. This one is called Marshmallow, although it doesn't look anything like one....Briefly, we have a slim cartridge/converter demonstrator pen sporting a #5 EF nib. 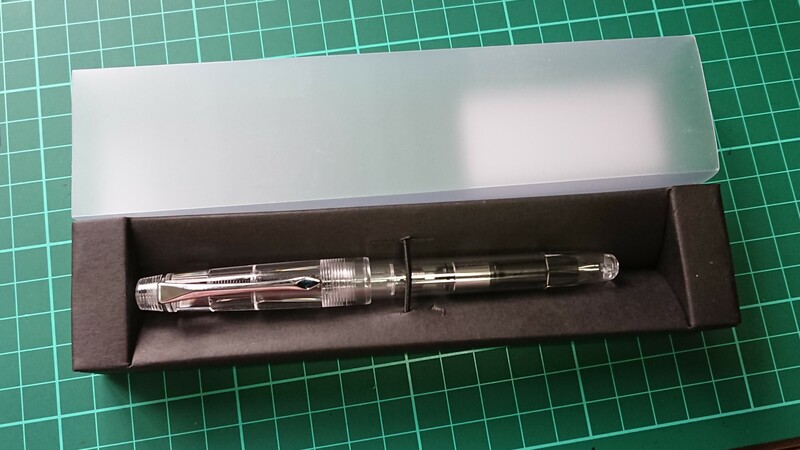 The pen came in very simple packaging, wrapped within a plastic sleeve that's secured to the bottom of a cardboard pen holder that's covered by a cloudy plastic sleeve. 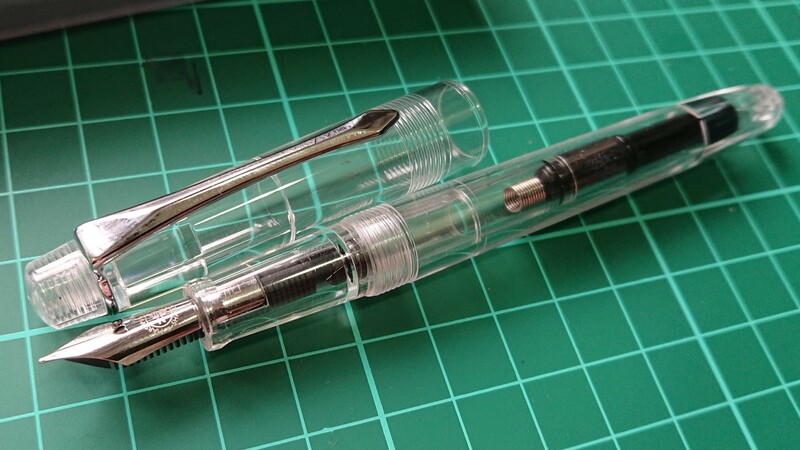 Here's the pen, a very simple demonstrator pen with a silver trim. Below, it is compared with a Conid Minimalistica (Bock #6 nib). 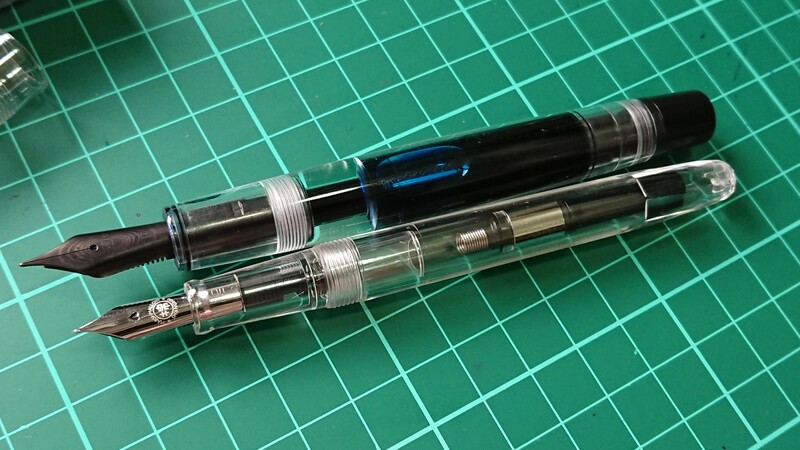 It has a clip, stainless steel PenBBS nib (similar to Jowo #5), a PenBBS converter with an agitator inside, and...that's it! Or is it...? At first glance, this is a truly unimpressive pen. Cheap small pen, small nib, C/C, heck; there isn't even a cap band. However, PenBBS products are generally mid-end (for the Chinese market) so there must be a reason for its existence. The pen uncapped with 2.5 full rotations. 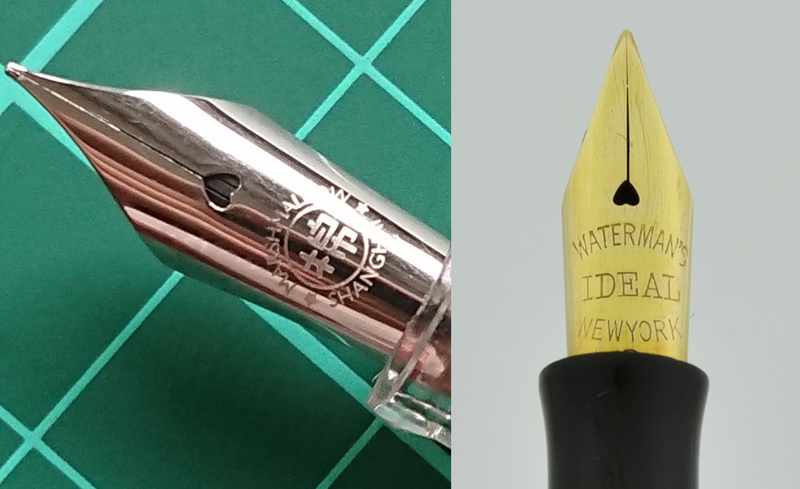 A closer look at the Marshmallow's nib reveals the different stamping that says "棉", the first character for “棉花糖” (marshmallow). The Chinese character is surrounded by English words. It has a heart-shaped breather hole, round tipping (typical PenBBS nibs have upturned tipping), and 2 ink channels. The nib and feed is friction fit and can be removed easily. Now, we can even see that there is a wider ink channel that splits into the 2 smaller ink channels at the end. 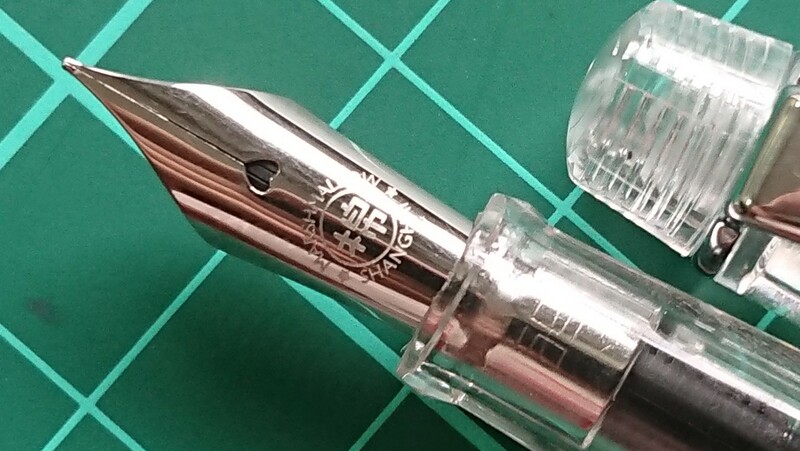 Disclaimer: turns out this nib faced the same problem as PenBBS 469, the tines touched at the tipping again which resulted in subpar flow and a bit of skipping. I widened the tines just enough to avoid them touching. 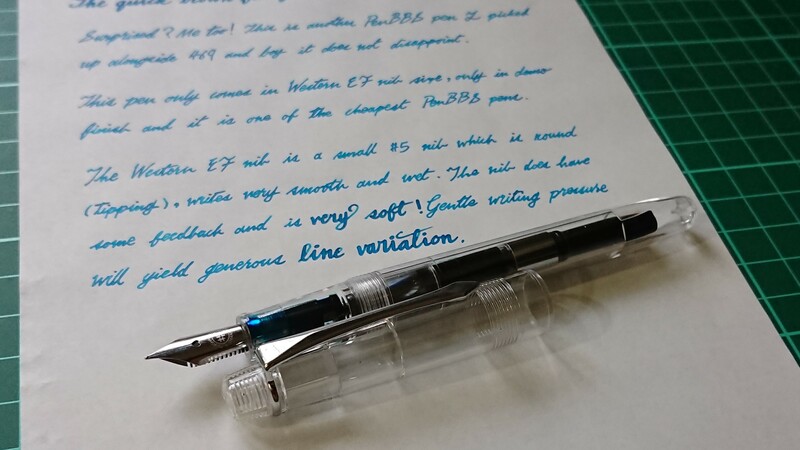 This nib is smooth, has some feedback and it's very soft for a stainless steel nib! Gentle writing pressure and patience yields lots of line variation and ink flow. 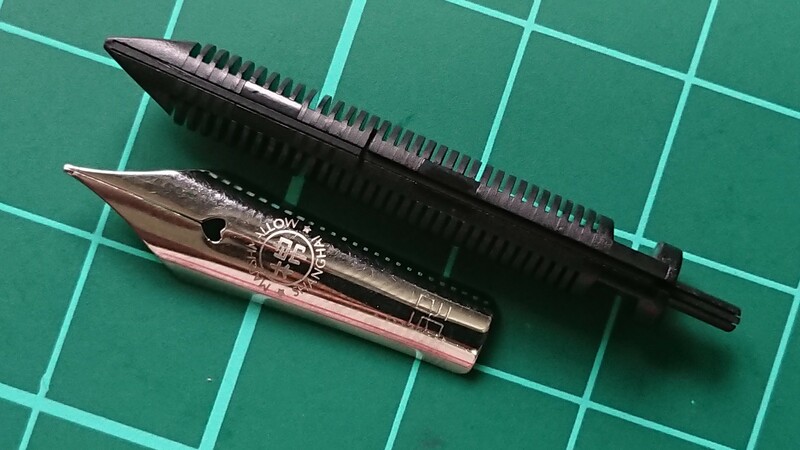 Suddenly, the design elements of the nib and feed click into place. There's some Inspired Design™ going on here and this is where it came from: the Waterman 52 series, tiny vintage pens renowned for their nib flexibility. Photo courtesy of a listing from Peyton Street Pens. This is merely an overview but if you're curious regarding why small nibs are often more flexible, this page will provide enlightenment. The blog has detailed articles about fountain pen design. Overall, this very cheap pen has blew through my expectations. 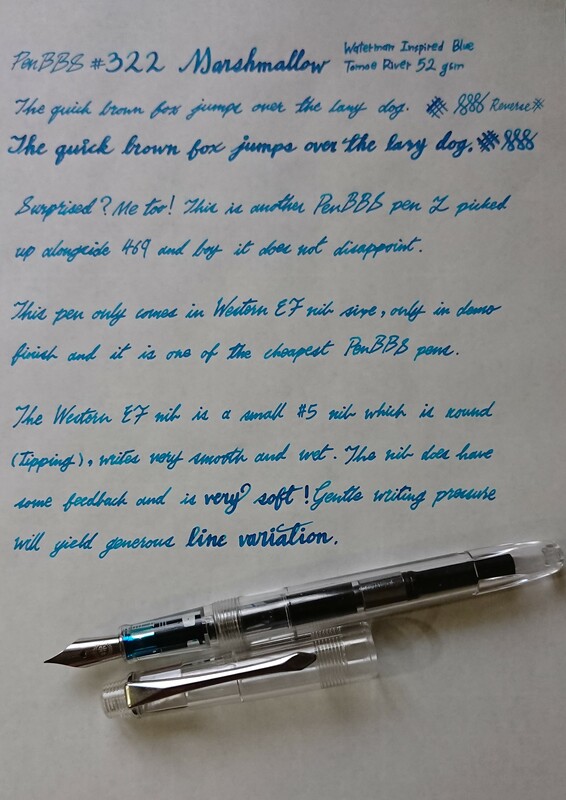 Affordable, smooth, lots of line variation, controlled yet generous ink flow. Please note that this is a stainless steel nib that's SOFT. Inasmuch, the nib springs very easily and without warning if you push it too hard. Otherwise, this is a super affordable pen to use scarier inks with and for the newbie to dip their toes and try out what a flexible nib feels like (without the Noodler's Ahab stink). Thanks for reading and see you real soon! We will have an ink overview next!